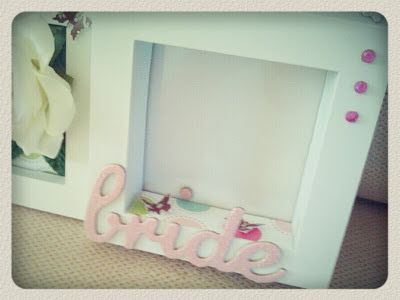 I decorated a white photo frame for a friend's wedding last October and forgotten to share it with you here since. My bad. So most of the embellishments are from K & Company's old wedding stock. 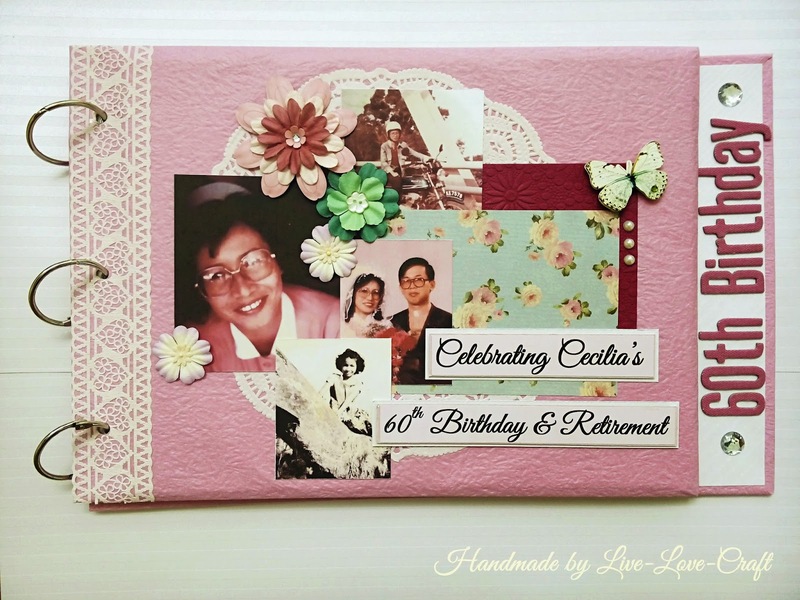 The flowers and fabric leaves were bought from random places. 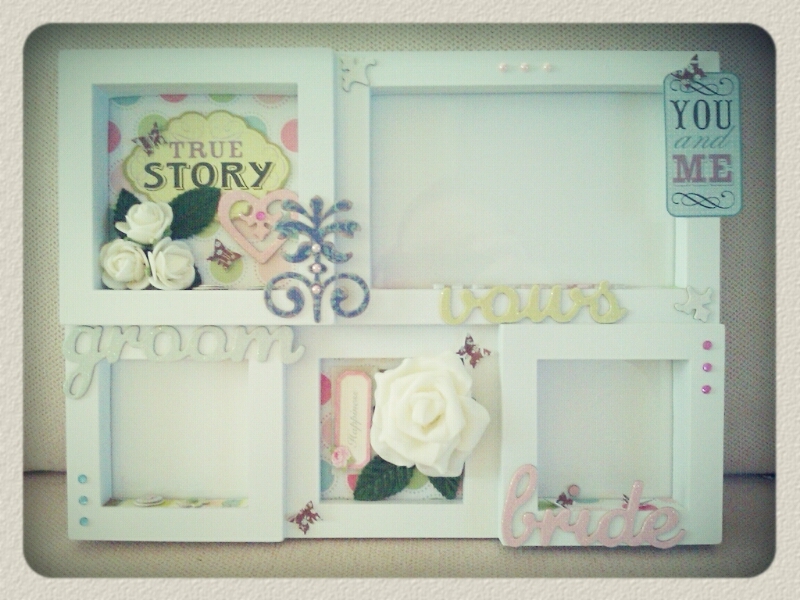 Decorated frames are one of the best ideas for gifts for me. They are full of potentials and quick to make. The main front view. I decided to have a little dreamy classic vintage theme for it. 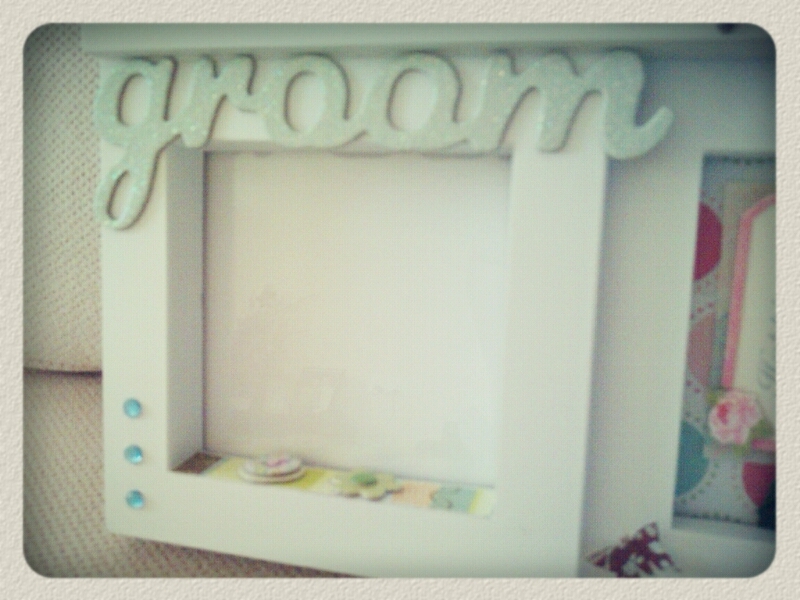 The powder blue chipboard sentiment 'groom' are glittered actually. You couldn't see it clearly because of the camera effect. 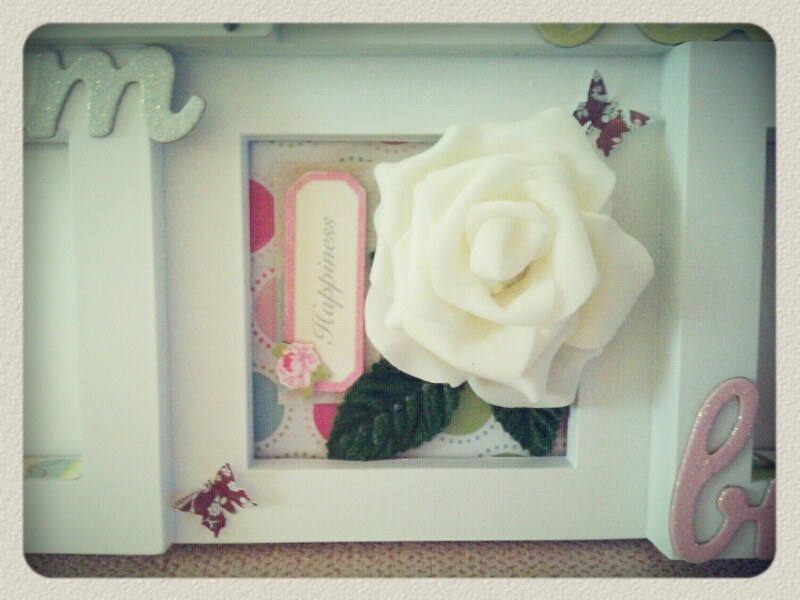 Added the 3D sticker 'Happiness' sentiment next to the big vanilla coloured felt flower. 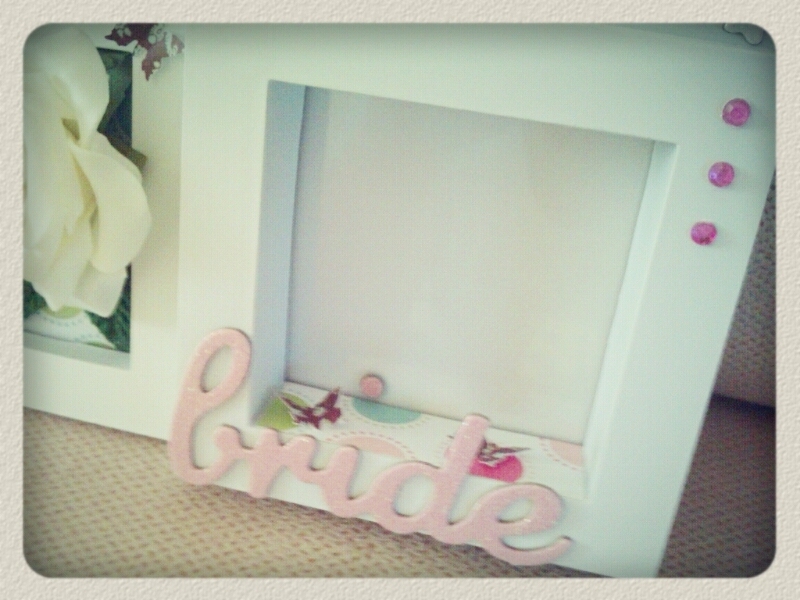 The baby pink chipboard 'Bride' sentiment is glittered too. You noticed that I also decorated the ledge on each of the frames. I especially love this one. 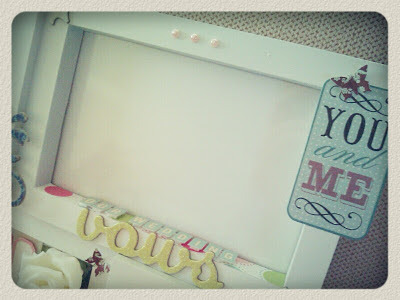 I added on the Mini Alpha Stickers from October Afternoons to form the word 'Our Wedding', on top/behind the glittered light lime green chipboard sentiment 'Vows'. 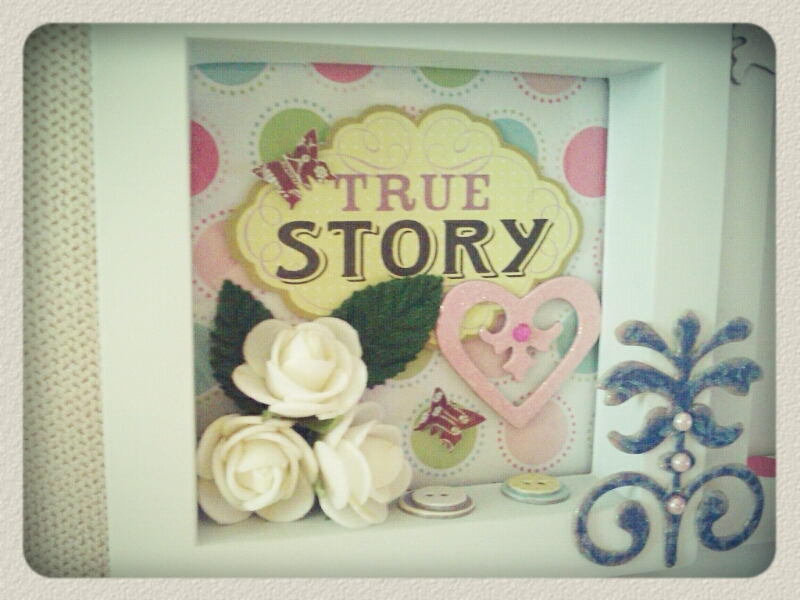 Hope this inspires you ;).